It’s that time again! 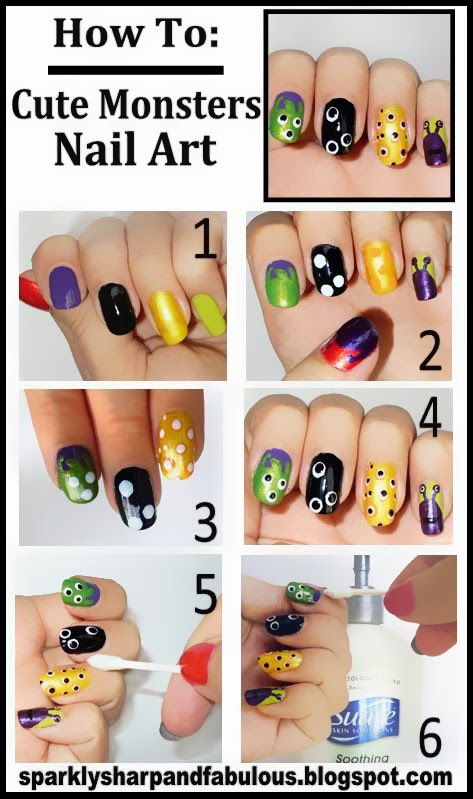 May I present to you my 2013 roundup of all of my favorite nail art looks for fall, autumn and Halloween! 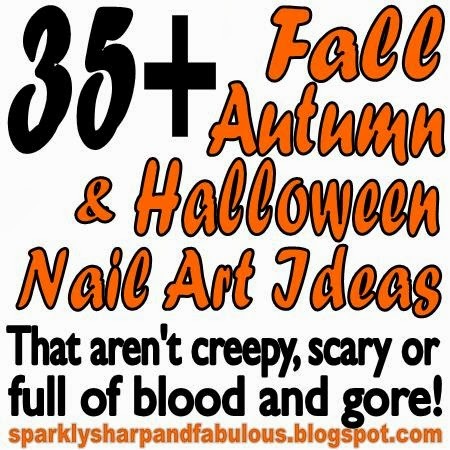 I don’t know about you, but I am NOT a fan of the blood and gore part of Halloween. 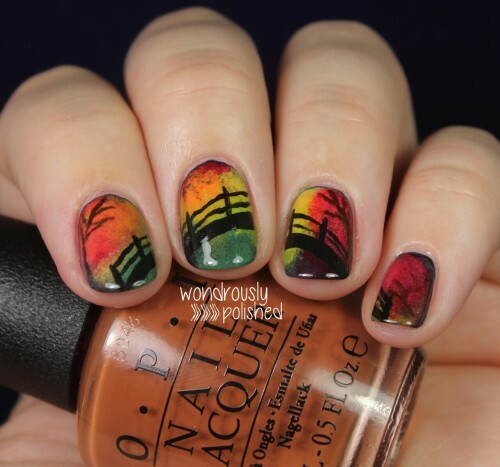 It’s just not my thing, which is why I have curated this round up to just be pretty fall nail art. Nothing creepy, scary or full of blood and gore to be seen here! As with all of my roundups, I do my best to hyperlink back to where I originally found the picture, post or video I shared with you, so please make sure to stop by and see more of the designers looks. Also – I will continue to add to this post and update it as I come across more posts! 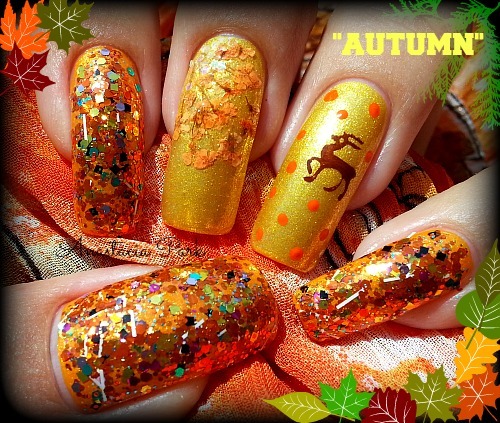 If you designed some nail art for fall that you think should be in this post, feel free to link down below, or share pictures and links on my Facebook Page. Oh, and one more thing….. 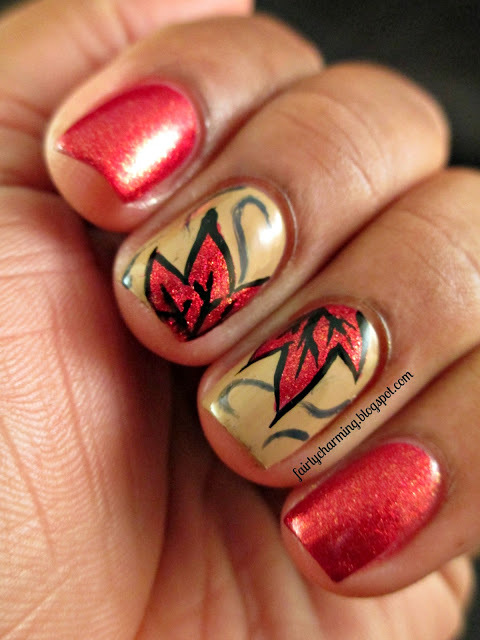 If you are looking for even MORE inspiration, check out my roundup post from last year here. 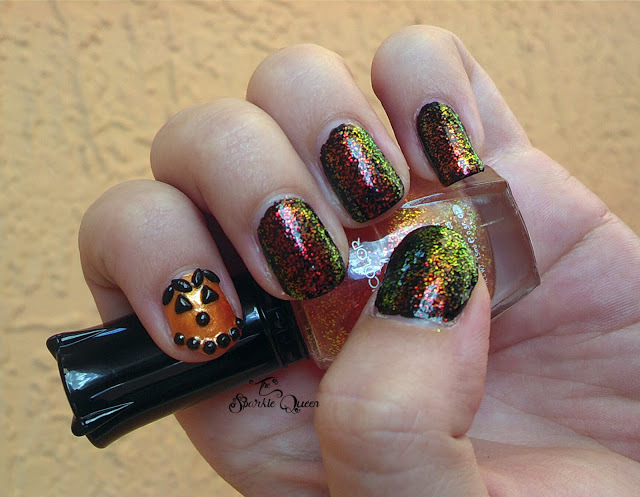 FreedaLatham shared several gorgeous autumn and Halloween looks on Nail Art Gallery. I really like them all, so I figured I’d just go on ahead and share them all! 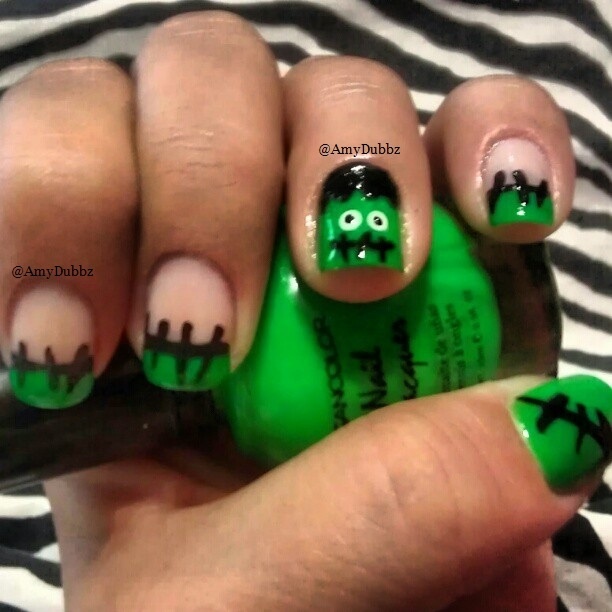 Aliciarock shared several fantastic looks over on Nail Art Gallery. I couldn’t just pick one, so I thought I’d share them all! Don’t forget, if you are looking for even MORE inspiration, check out my roundup post from last year here. And like I said earlier, I will continue to update and add to this post, so make sure to pin it and keep checking back for the newest additions! 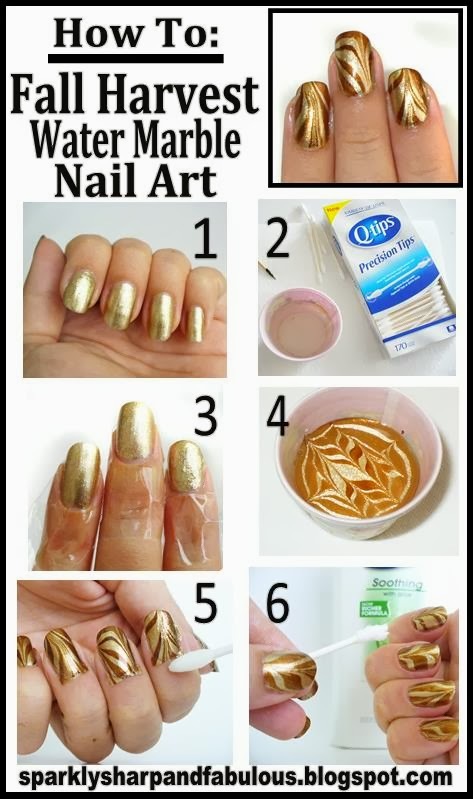 If you have your own nails you think should go on this list, share the pictures and links below or on Facebook. So, what design inspires you most? Have I missed any looks? Share links below or pictures on my Facebook Page, I’d love to keep adding more! 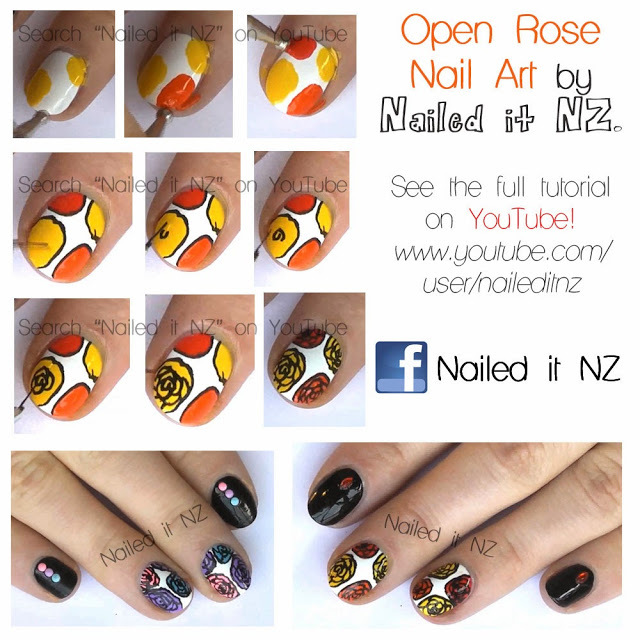 thank you so very much for sharing my nail tutorial from DeeVine DeeZine (ghostbusterdeena). it is very much appreciated!! Oh you are so very welcome Deena! I'm glad I was able to find it to add 🙂 Thanks for stopping by! xo! Haha well then I'm happy to help feed your addiction 🙂 I"m so glad you were able to check out the post. As I stumble upon more, I'll be adding them here, and of course to my Pinterest board, so stay tuned! Would love it if you could include my spiderwebs! Woot! Just added 'em 🙂 thanks for sharing them!